Smectic liquid crystals, like all liquid crystals, are fluids that have order at the molecular level, a bit like a crystal. While remaining fluid, molecules prefer pointing along a single local orientation. As well as this orientational order, smectics further have a layered structure, a bit like a book shelf. The molecular ordering in a series of phases. From left to right: crystal, smectic C, smectic A, nematic, and isotropic phases. The third, smectic A, is what is represented in the images here. 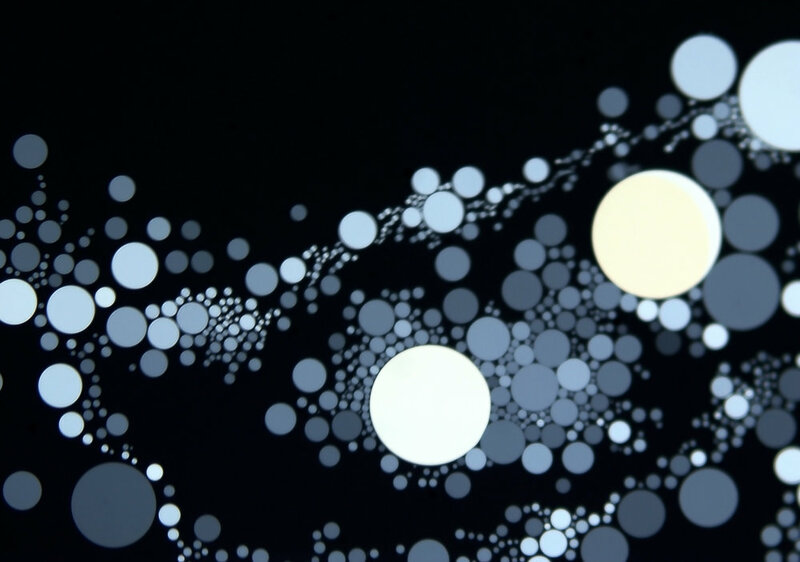 When made into a free-standing film, like a soap bubble, the molecules orient perpendicular to the film and the layers run parallel to the film. The result is that there are discrete numbers of layers in different regions, creating a kind of terraced cartoon appearance and beautiful colours reflected under the microscope. These images are all taken with a 20X lens, in reflection, with no polarisers. 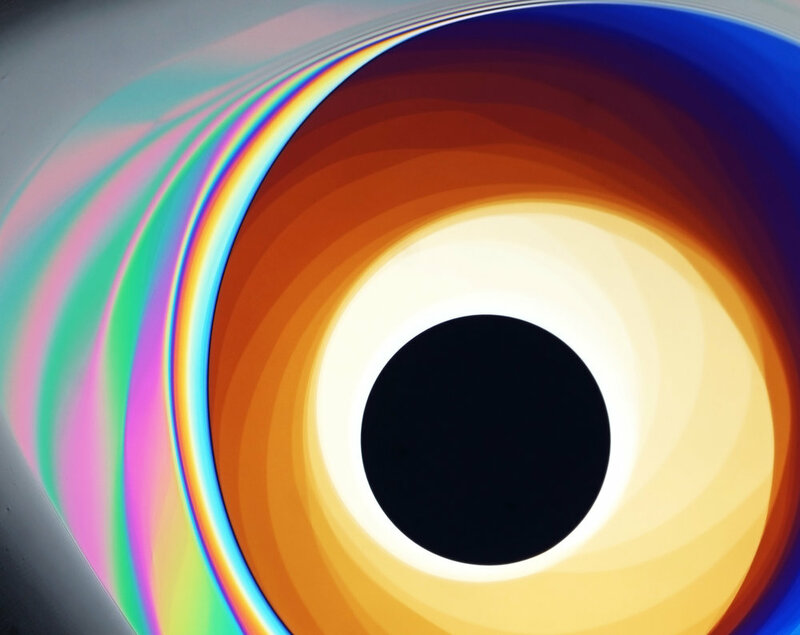 The colours arise due to interference between the light waves reflected of front and rear surfaces of the smectic film. Since different regions have different numbers of layers, they also have different thicknesses and result in different colours. What you see is a direct effect of single layer thickness, the scale of the molecular length, which is probably less than 10 nanometers. Thanks to Andrew Ferris for some know-how on how to create smectic films and for his images that inspired this work. If you would like to buy prints of any of these, please get in touch! 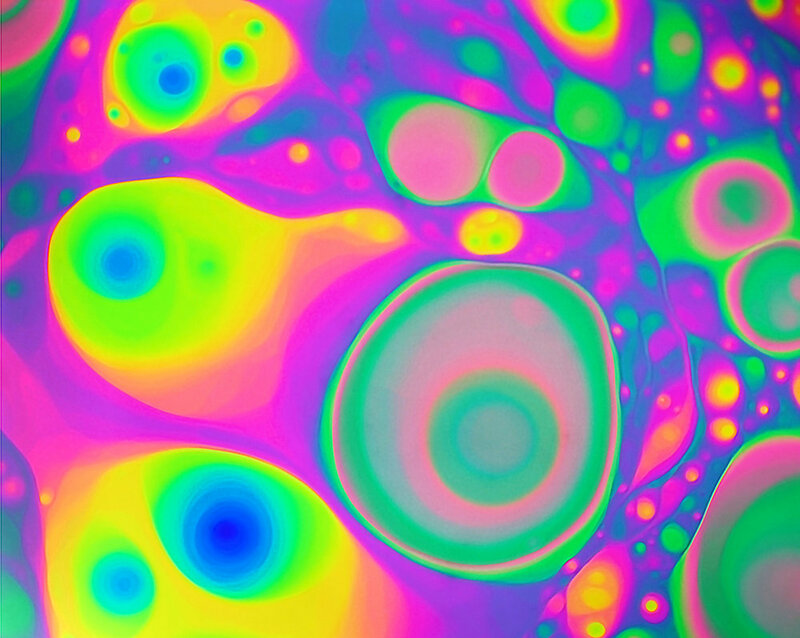 Want to see more liquid crystals? Have a look at my other liquid crystal photography as well.